Five outstanding maternity services have won prestigious awards from the All-Party Parliamentary Group on Maternity (APPGM). A further four services were also highly commended at the ceremony, which acknowledges inspiring or innovative work in improving local maternity services. The APPGM, which is serviced by NCT, the UK’s largest charity for parents, is a cross-party group whose aim is to highlight maternity issues within Parliament and bring together health professionals and service users with politicians. The awards, now in their 11th year, were presented at the APPGM summer reception, yesterday, 9 July, in the Members Dining Room of the Houses of Parliament by Rt Hon Andrew Lansley MP, Secretary of State for Health. “I know as well as any other parent how life changing having a child can be so getting maternity services right is vital. The reception was attended by 135 guests including MPs, officials from the Department of Health, Belinda Phipps, Chief Executive of NCT, representatives from royal colleges and the NHS workforce and leading health professionals and user representatives from maternity services across the UK. The 2gether Programme addresses the needs of pregnant women with a raised BMI >30. The programme was developed with input from service users from the outset and this continues to shape the scheme today. Service users have joined professionals at local and national conference to raise the profile of this important programme for women and families nationally. LTHT maternity services have developed a robust and sensitive pathway for women with diabetes. This excellent multi-disciplinary team has achieved this by working in partnership with service users and appropriate agencies, supporting women and their families to ensure and encourage optimal health prior to pregnancy and throughout the childbirth continuum. Women’s services reconfiguration, Gloucestershire Hospitals NHS Foundation Trust. In 2011, maternity services in Gloucestershire were completely reconfigured with new facilities opening on the two main hospital sites in Gloucester and Cheltenham. The successful transition was the culmination of several years planning by a dedicated multidisciplinary project team. The response from local families has been overwhelmingly positive. Luton Mellow Parenting is an intensive intervention to change relationships within families with multiple difficulties who are approaching child protection thresholds. It promotes a collaborative approach amongst the wider health, social, educational, voluntary sectors and parent’s forum, working with children and families to help keep them together and to reduce the need for intervention. The West London African Women’s Service, a unique multidisciplinary service spanning hospital and community, meets the complex needs of women with female genital mutilation (FGM). FGM causes pain, vaginal and urinary infections, psychological trauma and complications in pregnancy and childbirth. De-infibulation can improve quality of life and reduce obstetric risk. This group of six midwives provides one-to-one caseload midwifery care to pregnant women who live within a geographical area of Cheltenham that has been identified as having the greatest concentration of births from the most deprived 10% of women in Gloucestershire. Since its inception in November 2010 the MGP has achieved phenomenal results. Wickbourne Caseload Midwifery Practice, Western Sussex Hospitals NHS Trust. The Wickbourne Caseload Midwifery Practice is based in Littlehampton, West Sussex, which is a recognised area of high multiple deprivation. Women receive care from a named midwife who supports them throughout their pregnancy, labour and the postnatal period. The team has demonstrated notable improvements in birth experiences and outcomes of maternity care. Dadi Day (Dads Are Doing It) is a practical and interactive workshop for expectant fathers. This fun and relaxed session gives the fathers room to learn, communicate, network and practice in a non-judgemental atmosphere. It focuses attention on the dads so they feel as special and important as mothers are traditionally encouraged to feel. For further information, please contact the NCT Press Office on 020 8752 2404 or email press@nct.org.uk . Out of hours, please call 07722 839428. 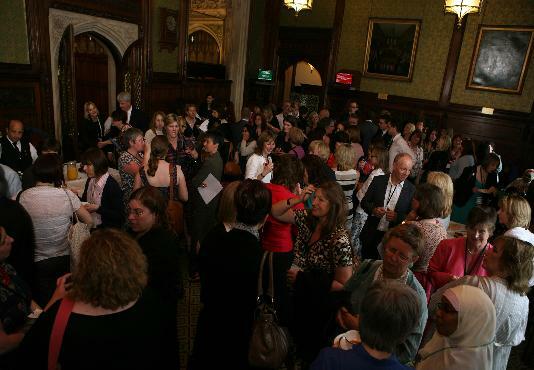 The APPG on Maternity was established in November 2000 to raise the profile of maternity services within Parliament. Over the last nine years, it has hosted meetings on different aspects of maternity services ranging from the Children’s NSF to domestic violence to breastfeeding. The APPG is a cross party committee of MPs and Peers is serviced by the NCT charity. I like keeping up with these posts. It honestly helps me get through the morning. Thanks for letting me know – I will ask my web guy to look into it. I wound up your blog a couple weeks ago and I absolutely can not get enough! Women can conceive again after miscarriage. The key is to allow your body to recover from the miscarriage and to overcome the emotional trauma. anything you can suggest? I get so much lately it’s driving me mad so any support is very much appreciated.